Tan Xuguang: Wise Man Has No Doubts, Brave Man Has No Fears! Indeed, under his leadership and influence, "Use a day to its fullest as it were two day and a half", "Always strive for the first, or you’re wasting your time" is the true portrayal of all Weichai people. There are many statements in the Confucian doctrine about "courage", among which the most famous one is "wise man never feels confused, kind man never feels worried, and brave man never feels scared” from " Analects of Confucius Zihan". This sentence is quite appropriate for describing him. The persistent pursuit of unknowns, carelessness of personal gains and losses, and fearlessness of difficulties are fully demonstrated by him. You can say that he possesses a heroic spirit of “Hanging my sailcloth up to go across the sea”, as well as the freeness of “giant eagle flying upwards 90,000 miles away". You can evaluate him with countless words, but he is the one who has always been calm, self-confident, and focused. Taking "business is more important than life" as motto, his heart always belongs to Weichai. At the beginning of his tenure, he announced that “water, electricity, gas, and heating” are no longer free. His father warned him: “you can’t afford Weichai people’s censure”, but he is not afraid at all. He destroyed more than 100 unqualified engines in the face of more than 1,000 staff. There’s tear in his eyes, but reform requires sacrifice, strength, and courage! In his view, Weichai has never been a local company, but should go abroad and become international. It’s not his vision just to stay in a corner of the world. What he wants is a brilliant enterprise group. 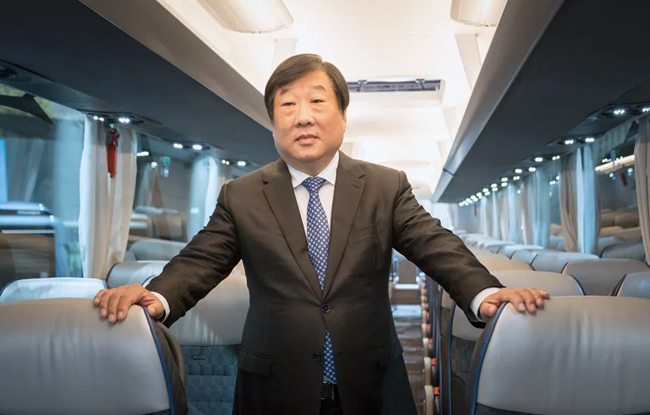 In 2005, he acquired and purchased Hunan Torch and completed integration of the vehicle, engine, transmission and axle, and built the world's first powertrain of commercial vehicle. In 2009, he acquired and purchased Baudouin, a French century-old enterprise, filled the blank of high-speed and high-power engines of more than 16 liters. 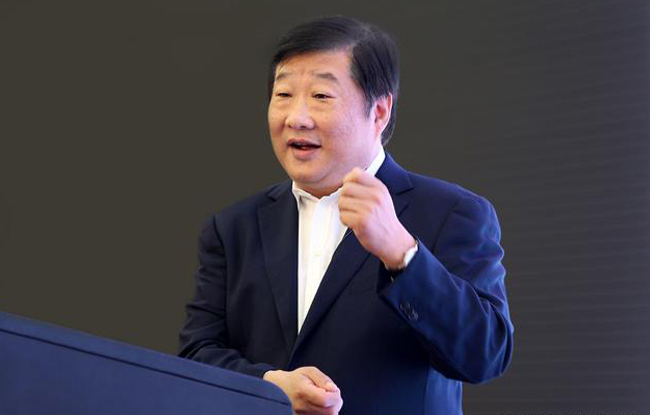 In 2012, he acquired and purchased Germany Linde Hydraulics, obtained high-end hydraulic technology, and integrated “Weichai Engine + Linde Hydraulics” to build a hydraulic powertrain system. Not only "Courage", but also “strategy" is also required for becoming a wise man. You may curious about how could he keep standing on the cutting edge? How could he always keep a keen sense of the market? For single people’s strength is limited, does he really have a super power? People who win people’s hearts always win the world. He’s good at integrating excellent resource of the world, and attracting people with the best career platform. He always adheres to the philosophy of “buying equipments is not as good as buy technology; buying technology is not as good as introducing talents”. As Weichai global map is being gradually established, he introduced large-scale talents from China and overseas, and built a unique talented highland. “Be concerned about whether you understand others, rather than whether others understand you”. Capable of using people, recruiting talents, and exerting the team's ability are fully reflected his courage and strategy. On the morning of Mar. 8, 2018, General Secretary Xi Jinping participated in the deliberation of the Shandong delegation of the 13th National People's Congress. 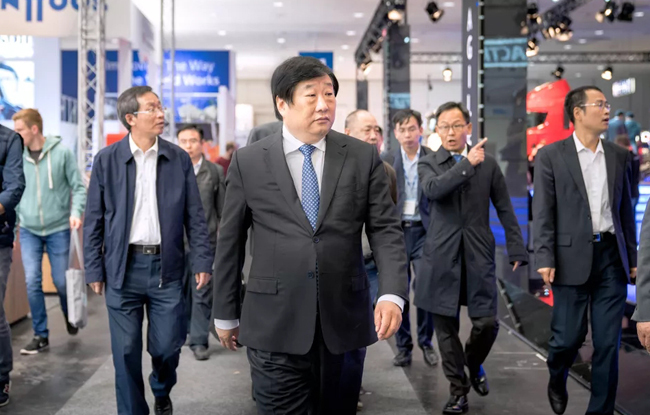 Tan Xuguang, the third speaker of the Shandong delegation, reported on the great changes that occurred in the decade after General Secretary Xi Jinping inspected Weichai in 2008 with the title “Walking on the innovation road, and make Weichai brand famous in global equipment manufacturing industry”. 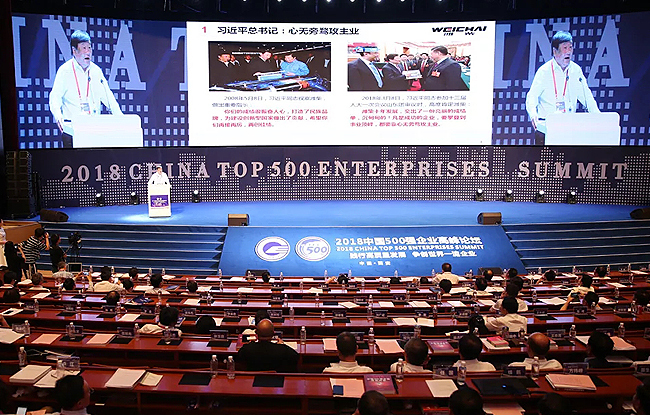 General Secretary Xi Jinping highly affirmed the development of Weichai in the past decade, he said: "Any successful enterprise wants to climb to the peak of the career must focus on its main business”. In his view, Weichai's life is rooted in the core competitiveness of the products. This is where he always pays attention, as well as his original intention and persistence. 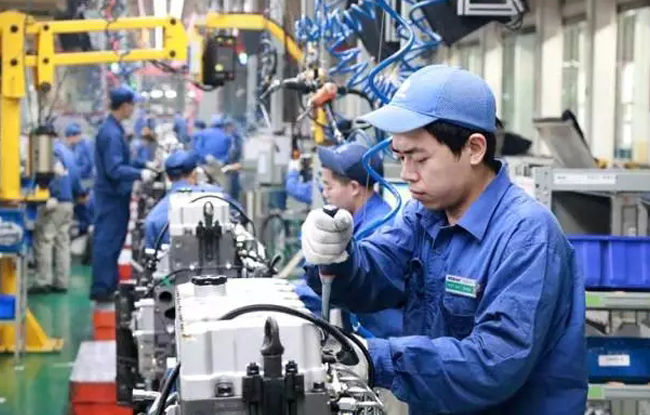 Early in 2005, Weichai launched a high-power vehicle engine with completely independent intellectual property rights, whose performance is comparable to European products. In the past decade, R&D investment in the engine has exceeded 15 billion yuan, and annual R&D ratio has exceeded 5%. 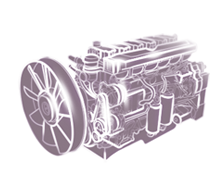 Focus on the main business and firmly grasp the core technology of powertrain. At present, Weichai has developed a full range of product platforms with displacements ranging from 2 liters to 579 liters, power ranging from 33 kW to 10,000 kW, high-speed engines and medium-speed engines, traditional power and new power. It has become one of the few enterprises which have the most complete product line in the world. Weichai engines has realized the transformation from single application for heavy trucks to multi-applications, and has become a leading power for construction machinery, passenger car and agricultural equipment, which has completely changed the passive situation of Chinese engines. Especially in the field of commercial vehicles, for the unremitting efforts of Weichai, the independent brands of China's commercial vehicles have achieved vigorous development, which successfully resisted the large-scale entry of foreign brands and rewrote Chinese vehicles fate of “lacking of heavy-duty vehicles”. 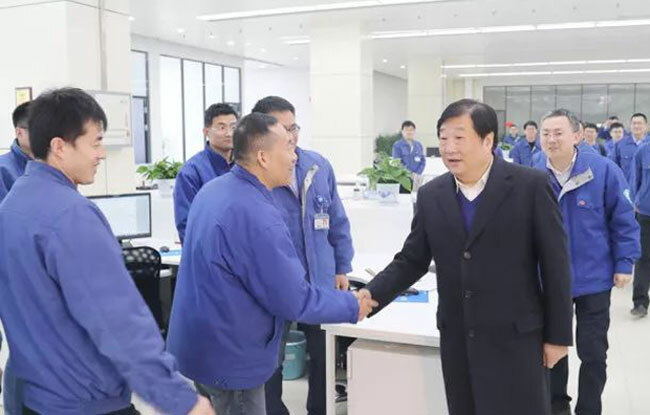 Just a few days ago, Zhongtong Bus Co., Ltd., one of the major domestic bus manufacturers, announced that the actual controller of the company has changed from Shandong Transportation Industry Group to Shandong Heavy Industry Group. This marks the completion of the strategic restructuring of Shandong Transportation Industry Group by Shandong Heavy Industry Group. The two strongest automakers in Shandong Province combined as one. There are more responsibilities on Tan Xuguang’s shoulders, but he is still confident. 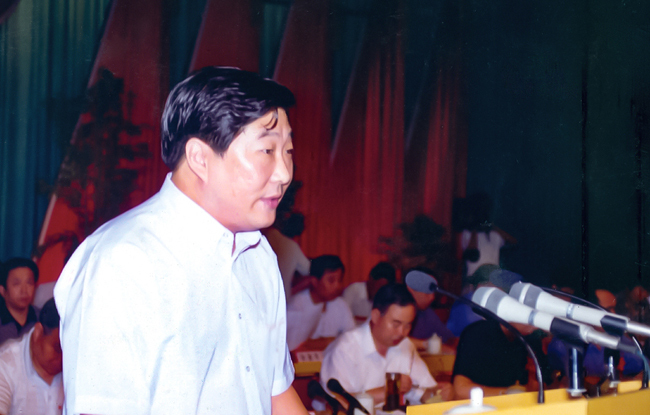 It has been 20 years since he took charge of Weichai in 1998. In these 20 years, Weichai has experienced ups and downs, and made a rapid development. With a keen market insight, he guided Weichai developed continuously. 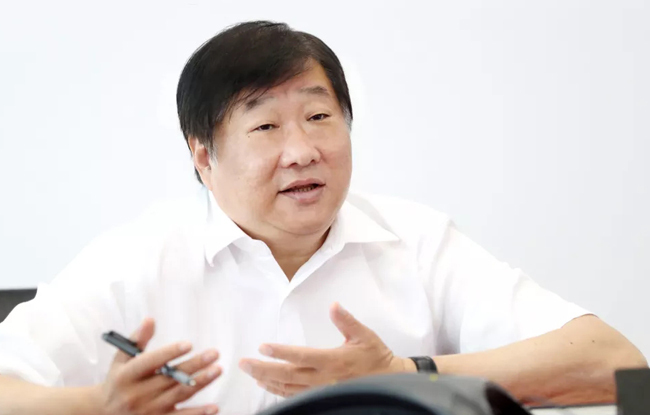 No matter in the start-up period or a harvest period, he always remembers his mission and responsibility as a state-owned entrepreneur, that is revitalize China’s equipment manufacturing industry, and made Weichai brand famous in the world. 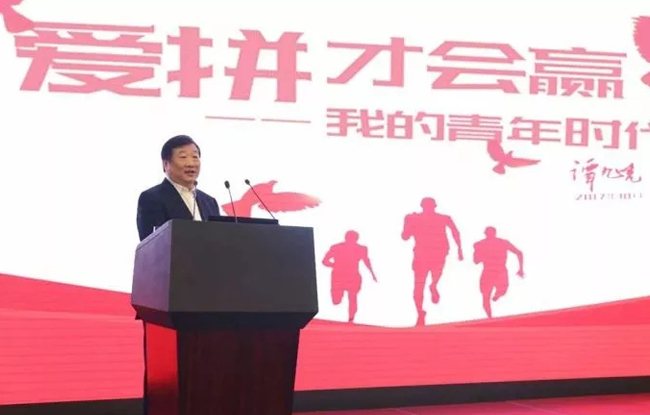 Meanwhile, as an entrepreneur of Shandong, when facing new and old driving force conversion, he is the first to “attract world’s most important resources to Shandong, attract high-end talents to Shandong, bring technology to Shandong, and make great contribution to new and old growth driver conversion”. At the new historical starting point, Weichai will start again.